One of the most storied collegiate basketball programs in the nation, the Kansas Jayhawks have produced some of the greatest players to ever hit the hardwood. In this updated edition of Tales from the Kansas Jayhawks Locker Room, diehard Jayhawks fans will thrill over the treasure trove of stories and memories from the players and coaches who have made the University of Kansas into a basketball powerhouse. For more than a century, Kansas has been the home of storied coaches—from the game’s inventor James Naismith to the current reign of Bill Self—and prominent players including Wilt Chamberlain, Paul Endacott, Danny Manning, Paul Pierce, Drew Gooden, and dozens more. 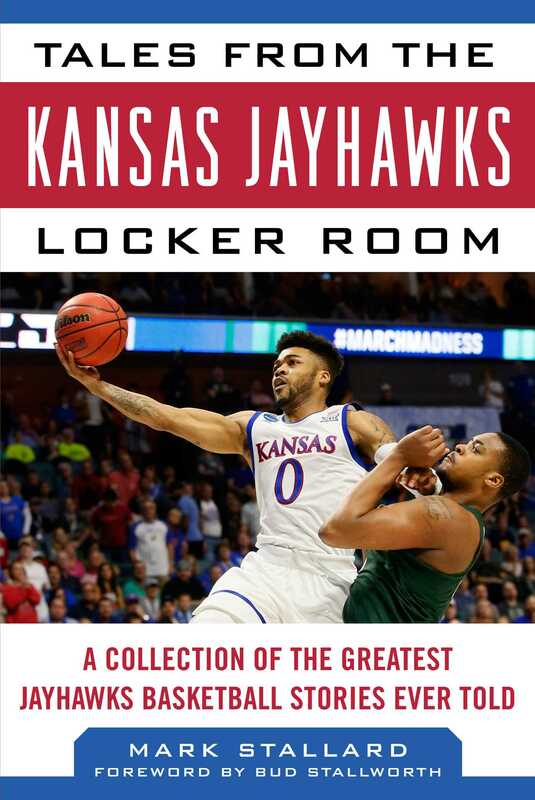 ,i>Tales from the Kansas Jayhawks Locker Room includes stories of all of them and is a must-read for any Jayhawks fan. Mark Stallard is an accomplished author and noted sports historian. His works have specialized in not only football but also baseball and basketball. He has also written for several magazines, worked as a sportswriter for the Wichita Eagle, and is a member of the Football Writers Association of America (FWAA). He lives in the Kansas City metropolitan area.